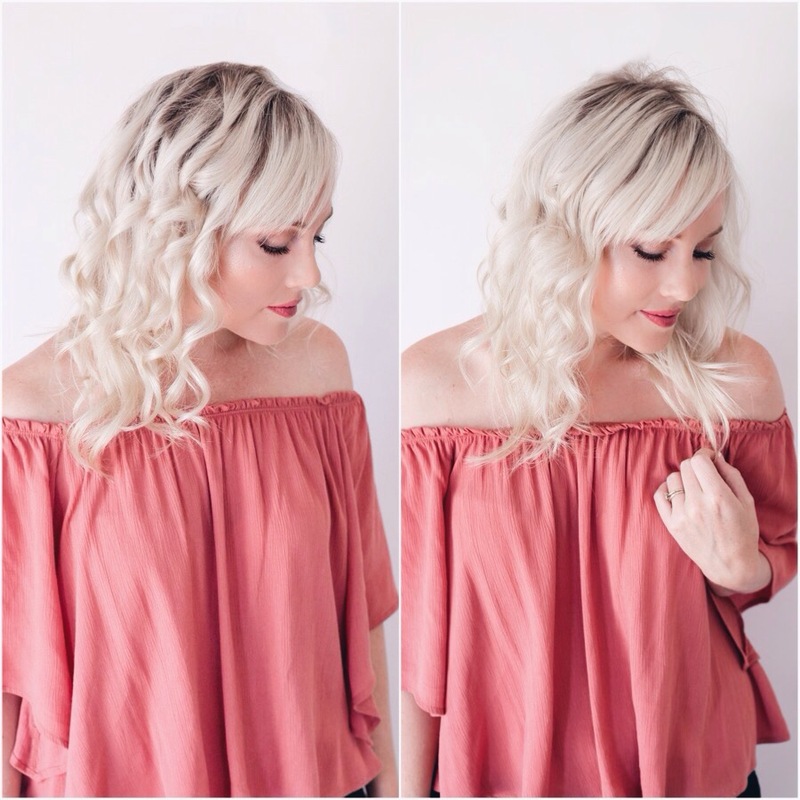 I’m always excited when I find new and fun ways to curl my hair without using any heat. I was super excited to get Curlformers in the mail and couldn’t wait to try them out. 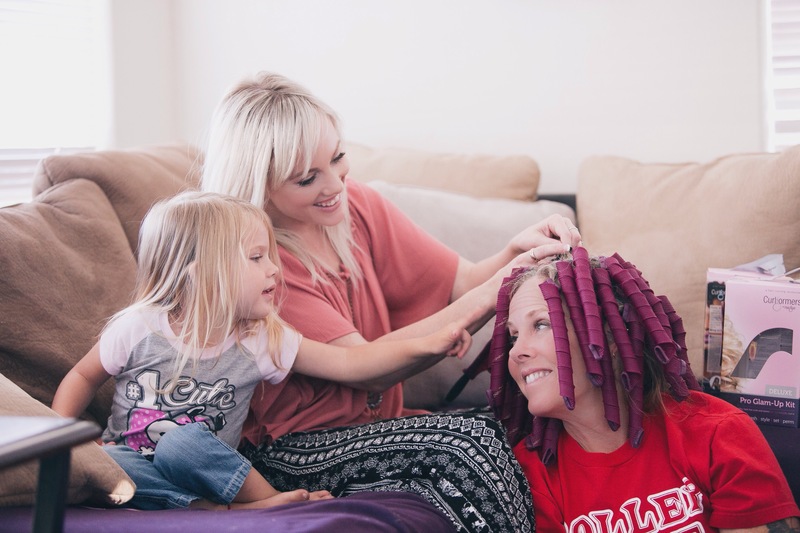 I experimented on myself and then thought it would be fun to take them over to my mom’s house to see how they worked on her hair. I suggest starting with clean DRY hair and lightly spray your hair with water to dampen it slightly. After putting the hook through the curler, grab a 3/4 inch section of hair, depending on the thickness of hair. 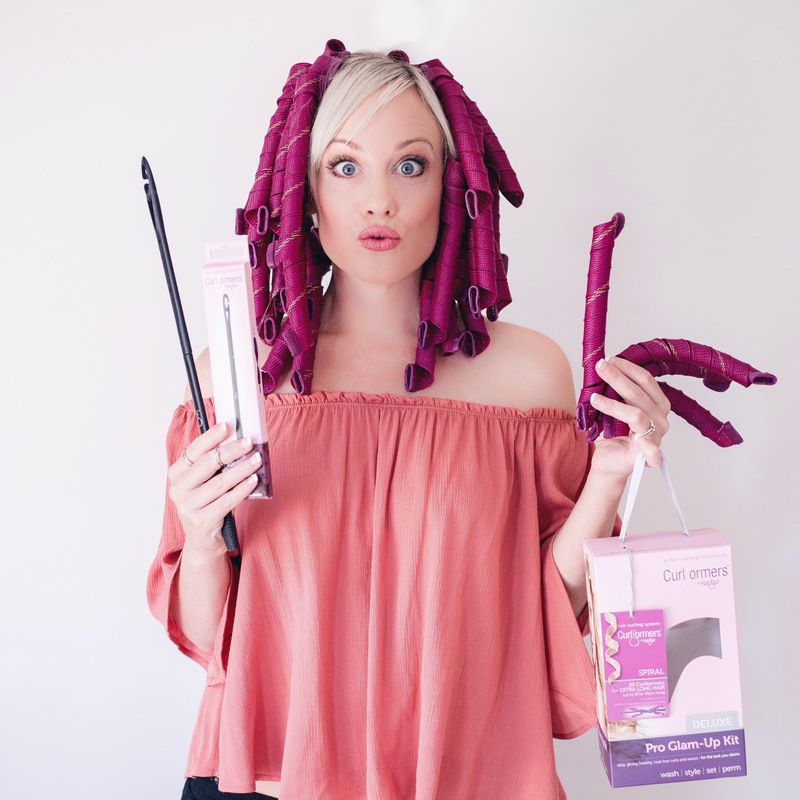 I noticed that the smaller the section of hair that goes in the curler the better, otherwise your hair will get tangled inside the hook and curler. 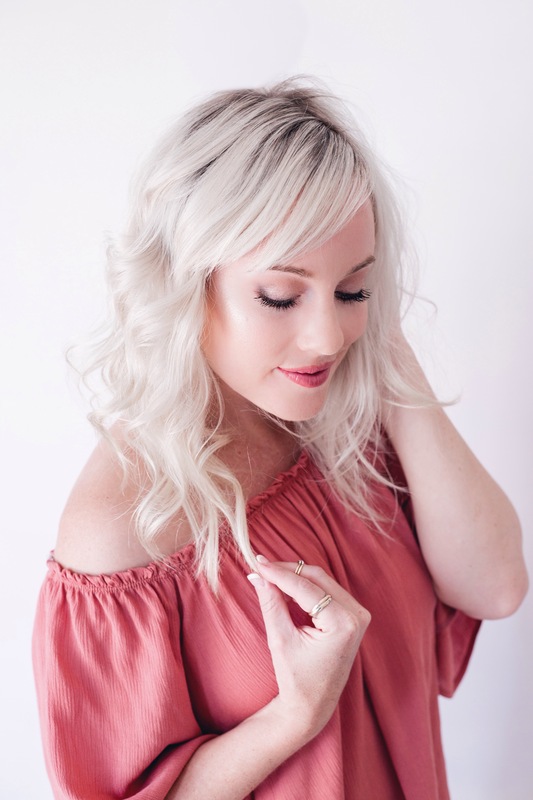 If you feel a resistance as you pull the hair through, that definitely means that your forcing to much hair in the curler. Plus it hurts! Haha 😄 If it happens, push the hook back up and untangle the hair. Take your time and don’t get frustrated. It takes a little practice to get a feel for it. 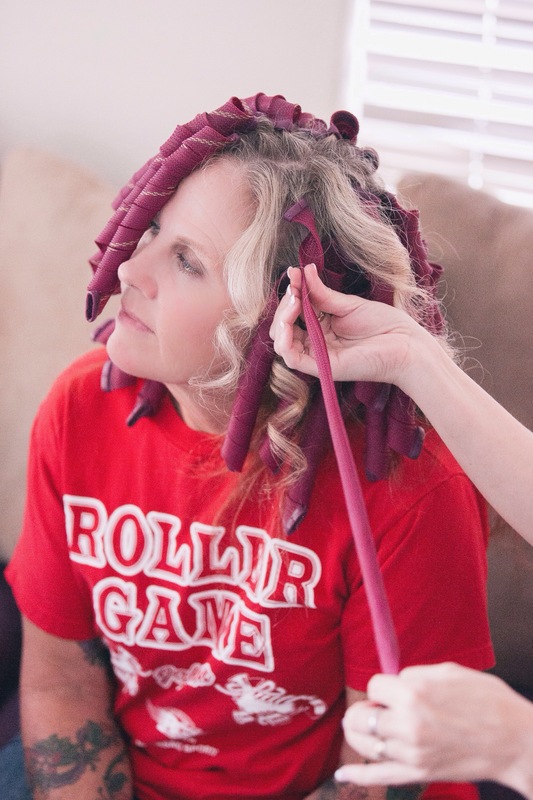 Once all the curlers are in place, leave them in for your own desired amount of time. The longer you leave the curlers in, the tighter the curl will be. I left in my moms for almost 2 hours. The first day I got them I decided to try to sleep in them and the next morning I had very tight curly sue curls! Besides the fact that it was terribly uncomfortable to sleep in, I would say that it’s a little unnecessary to leave them in over night unless your going for that kind of look, or doing a fancy up do. Depending on how well your hair takes to curls, my recommended time is 1-3 hours. 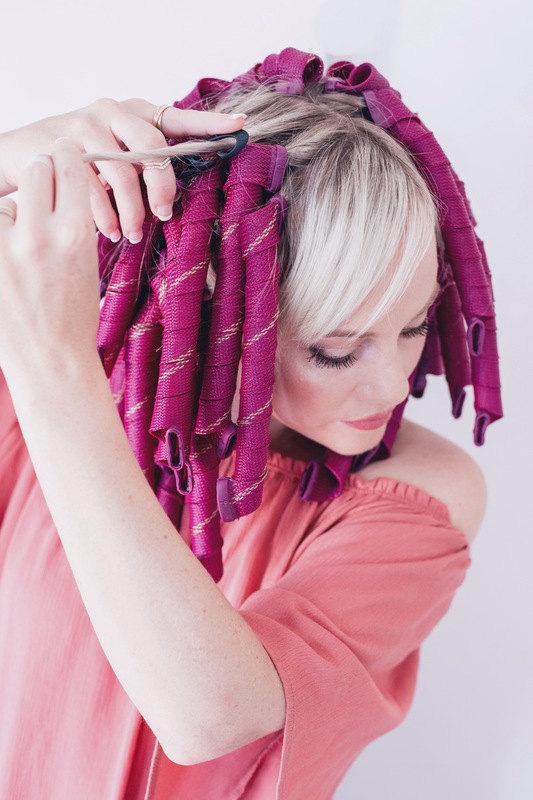 To remove them, simply secure one hand near the top of the curl and uncoil it until it’s strait, then gently slide the curler away from your head. 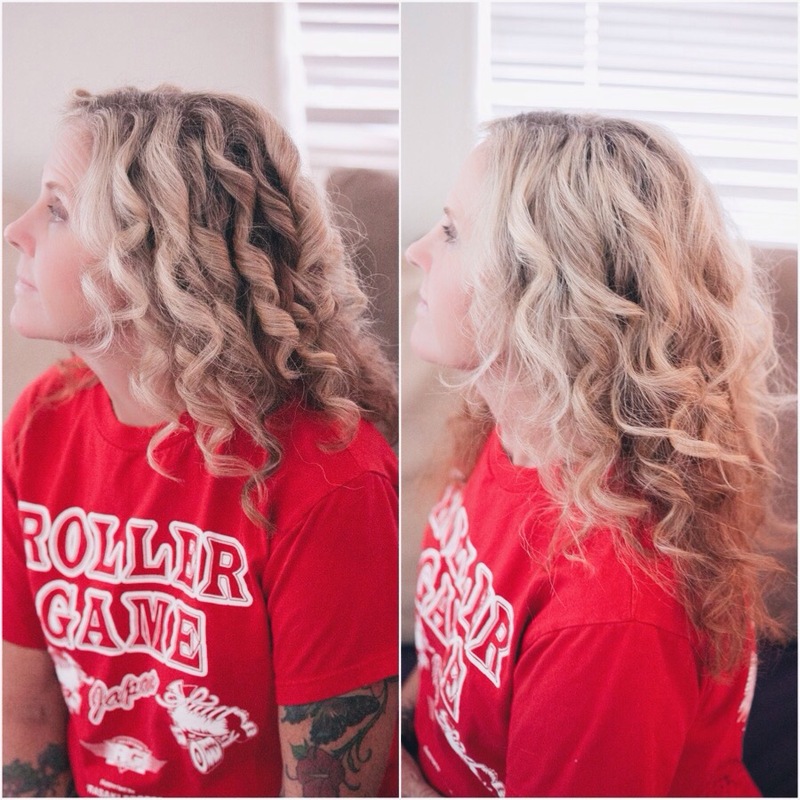 The photo below on the left shows what the curls look like right after the Curlformers are removed. The photo on the right shows what they look like after combing your fingers through the hair to separate them. If you want to lock in the curls all day, lightly hair spray them. Or simply rock it the way it is and let the curls soften throughout the day for a more beachy wave look. Curlformers offer a variety of types of curls: barrel curls, spiral curls, and corkscrew curls. 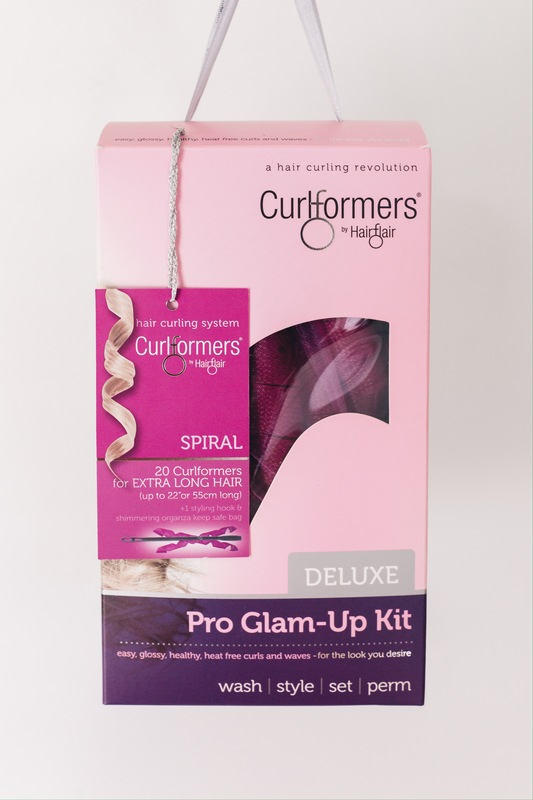 They also have Curlformers for all lengths of hair: short hair, long hair, extra long hair, and super long hair. The ones I received were spiral curls for extra long hair and it came with one hook and step by step instructions on how to apply them. My mom’s hair required 2 boxes of the Deluxe Pro Glam Kit. There was actually some hair left on the bottom that I couldn’t curl because I ran out of curlers for her. 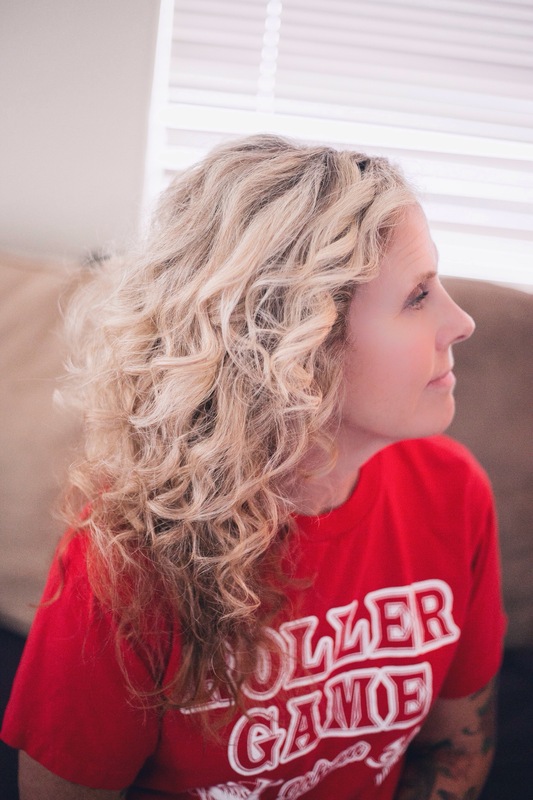 My hair is a little finer and thinner and I used just under 2 boxes of the Deluxe Pro Glam Kit for my hair. One Deluxe Pro Glam Kit comes with 20 Curlformers, 10 for the left side, and 10 for the right side. The Curlformers with the stripe down the middle are for the right side which curl away from your face. Applying Curlformers on your own hair require a mirror for sure the first time you use them. I noticed by the 3rd time I applied them I got a good feel for it and could do it without looking. 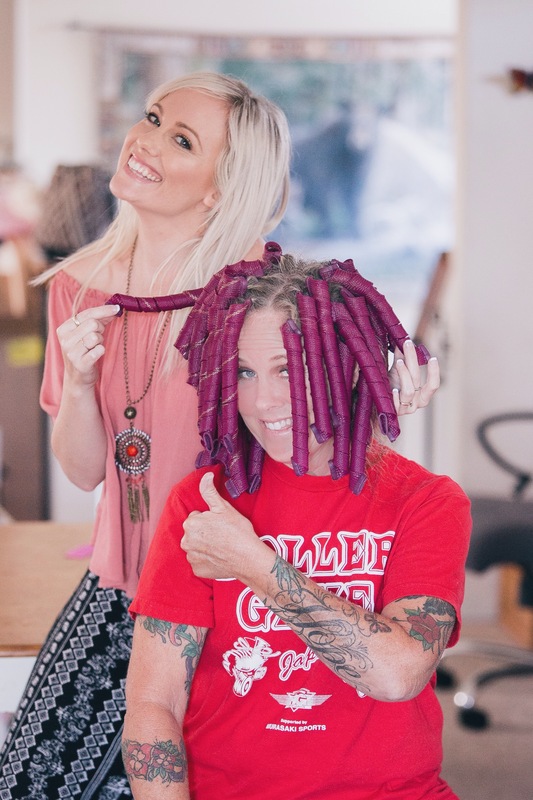 Just remember to take small sections to prevent tangles. Also, another tip is to make sure you when you pull the hook through the curler to keep it up and away from the uncurled hair. If you don’t, when the Curlformers recoils it could tangle up some of the uncurled hair up with it. The photo below on the left is what my hair looked like immediately after removing Curlformers after 1 hour. The photo on the right is what it looked like after running my fingers though it and letting it relax a bit. Overall, I’m pretty impressed and really excited about Curlformers! I highly recommend them 👍🏼 They are the perfect solution for a heat-free curl styler. For more info or to purchase Curlformers head over to www.curlformers.com.